The peace process between the US and North Korea is in crisis after Pyongyang angrily rejected Washington’s “gangster-like” demands over nuclear disarmament. US Secretary of State Mike Pompeo flew out of Pyongyang today (Sunday, July 8) after negotiations with Kim Jong Un’s right-hand man Kim Yong Chol. He maintained a positive outlook, insisting progress had been made. However, as he arrived in Tokyo, his North Korean hosts issued an angry statement rejecting his efforts and appealing to Donald Trump to revive the peace process. The North’s foreign ministry took exception to Pompeo’s efforts to confirm Kim’s promise, made at his summit with President Trump last month, to work towards the “denuclearisation of the Korean peninsula”. Pyongyang emphasised that it already destroyed a nuclear test site and lamented that Pompeo had proved unwilling to match this with US concessions. It also dismissed President Trump’s order to suspend joint US and South Korean war games as a cosmetic and “highly reversible” concession and criticised US negotiators who “never mentioned” the subject of bringing the 1953 Korean War to a a formal end with a peace treaty. The North Korean statement stands in stark contrast to the hopeful words Pompeo had given reporters before boarding his plane to Tokyo, and appear to represent a set-back to the process initiated between Kim and Trump last month. 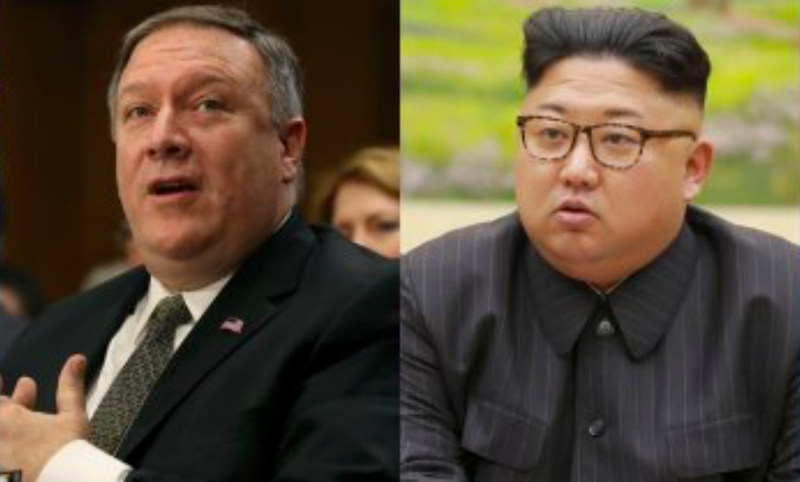 Pompeo had characterised the meeting as a success, but failed to present any new details as to how North Korea would honour its summit commitment to “denuclearise” in exchange for US security guarantees. “We talked about what the North Koreans are continuing to do and how it’s the case that we can get our arms around achieving what Chairman Kim and President Trump both agreed to. Pompeo also said that officials from both sides would meet next Thursday (July 12) as a working group to discuss the repatriation of the remains of some US soldiers killed during the 1950-1953 Korean War.